When it comes to discussing the future of manufacturing, two words are on everyone’s lips: “digital revolution”. But exactly what this digital revolution means, varies across different industries. Here, we look at why Australian manufacturers should look towards a digital transformation. Of these new strengths, it is arguably uberisation that is attracting the most attention. Uberisation refers to using new business models to disrupt (and improve) the old way of doing things. It is the process of solving challenges with continuous innovation – in ride company Uber’s case, by removing laborious tasks from the consumer and replacing them with a slick technological solution. Uber satisfies consumers’ transport requirements through a real-time application of data, which co-ordinates a match of local-driver car owners and customers via smartphone technology. But Uber is not the only one taking advantage of digital technologies to become more responsive to client and customer demand – leading manufacturers are realising the benefits too. What can digital technology do for manufacturing? By revealing what’s beneath the surface and looking at what’s possible, it’s clear that manufacturers need to sit up and take notice. 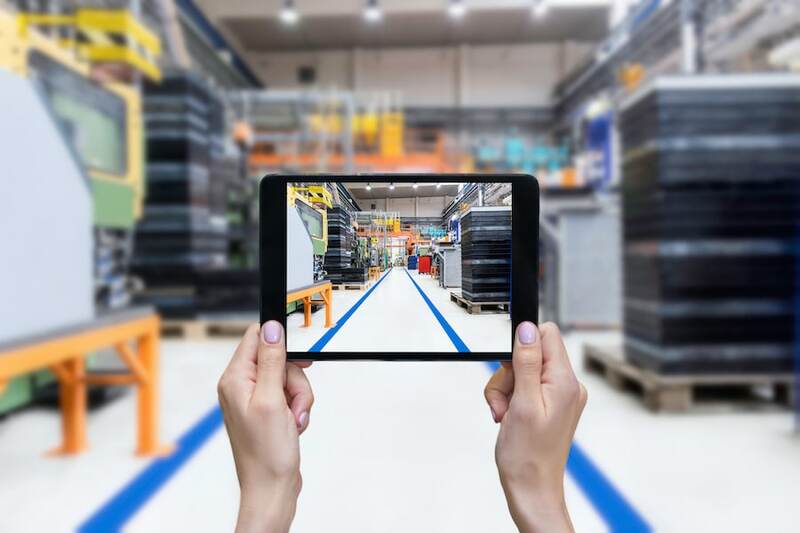 First and foremost, the most exciting prospects for manufacturing come from digital connectivity of the value chain. Digital manufacturing will transform the way everyone works together – from R&D, supply chain management, factory operations, marketing, sales, service and throughout the supply chain. For example, when Coca-Cola applied a flexible packaging process in its celebrated “Share a Coke” campaign, firms collaborated throughout the supply chain. The result was a global increase in the company’s soft-drink volumes and international acclaim. Digital transformation revolutionises Product Lifecycle Management (PLM), from the very first step. Digital manufacturing is the fastest and simplest way to take an idea from concept to reality. Just look at the growing use of 3D printers for rapid prototyping (which we talk about as one of the three trends manufacturers need to watch and see here for how 3D printing will impact manufacturers), and autonomous testing that can evaluate prototypes much quicker than traditional methods. This digital connectivity of the value chain has led to coining the expression “digital thread”, where digital technology connects physical assets to capture and optimise the flow of information passing through each stage of design and production, from engineering to programming, manufacturing and final assembly. The digital thread doesn’t have a beginning or an end – it forms a continuous feedback loop of quality data that is collected and communicated automatically at every stage of the product-development cycle. The more quality data is collected and utilised, the more efficient the processes. And, importantly, the more the factory can rely on information to schedule maintenance, reduce lead times, improve throughput and more. Quality data can literally drive production in a smart factory. Smart, connected products and digital technology can provide product managers with new sources of customer-experience data, which enables them to anticipate demand and changes for new products. Global fashion retailer Zara is a relatively recent entrant into the Australian market. Already renowned for its two-week product development and shipping record, Zara uses digital tools to refine its products and respond faster to customer preferences. Store staff armed with handheld computers read reusable RFID tags attached to items of clothing aid to provide valuable inventory data. Using 3D printing for prototyping can speed the time to market, thereby reducing costs. BAE Systems is one company reaping the rewards. When it could no longer obtain a critical injection-moulded plastic part for a jetliner, the company turned to 3D printing. This saved more than 60% on the part’s cost, avoided retooling costs and cut production lead times by two months. Using cloud-based tools, manufacturers who are dependent on partners for the design and manufacture of parts can share 3D models of component design across their network. This type of data sharing speeds up production and provides the ability to adapt quickly across the entire supply network. Both the auto and aero industries have identified that digital manufacturing supports the optimisation of parts manufacturing within a managed environment. The rise of IoT enables measurable conditions of a machine to be monitored continuously and in real time using a combination of connected devices and sensors, data networks, cloud storage and data analytics. Pharmaceutical manufacturers are among those using digital manufacturing to improve quality control. Digital technology can monitor the conditions throughout the mixing process, tablet pressing and other key production aspects, which ensures only the highest quality products leave the factory. The technology is delivering a transformation in production quality control and new cost savings for the pharmaceutical industry. Across the globe, companies are waking up to the prospect of gaining competitive advantages via digital manufacturing and adopting it as an active practice. The challenge is deciding how much and where to invest. A recent article in the Australian Financial Review pointed to huge knowledge gaps in robotics and automated production processes, advanced materials and composites, digital design, rapid prototyping, 3D manufacturing, virtual reality systems and more. However for those manufacturers willing to “put in the hard yards and move up the value chain”, there are considerable rewards. A report by the Turnbull Government’s Advanced Manufacturing Growth Centre predicts a potential 25-35% increase in value for the $100 billion sector over the next decade. So while manufacturers weigh up the costs of digital manufacturing, it’s become clear that the real cost for businesses is in doing nothing. Are you ready to embrace digital manufacturing? You will also find a lot of detailed information in Matthews’ large resource library. And it’s all free to download! There are case studies, whitepapers, presentations we’ve done to industry bodies, infographics for manufacturing, articles from our thought leaders, vids showing solutions in action, lots of detailed of brochures and more! Identification and inspection: why integrate?